Performance Therapy offers the most advanced treatments and therapies customized to meet your individual needs. Every year we help hundreds of people suffering from a variety of bone, muscle, and joint conditions. 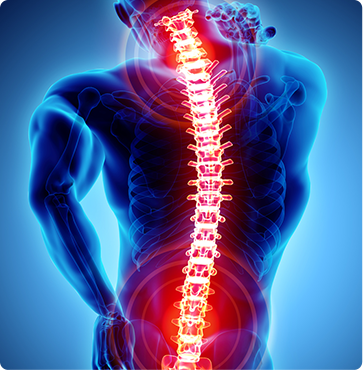 We treat everything from arthritis and broken bones to sports injuries and work-related injuries. At Performance Therapy, our physical and occupational therapists offer effective solutions for all your muscle and joint pain. Treatments such as the McKenzie Method, ultrasound, and electrical stimulation for pain control can help you reclaim your active lifestyle. We also offer therapeutic exercises for strength, range of motion, and mobility, as well as guided relaxation to improve parasympathetic response to pain and biofeedback for pain control. Our mission at Performance Therapy is to help you function at your best. We want you to move without pain and get stronger so you can avoid future injuries. We provide an environment that promotes healing and encourages active involvement from each patient. We strive to educate you about your condition and recovery, so you have the tools to help yourself heal. We have multiple locations throughout central Mississippi to serve you. Contact the Performance Therapy location closest to you to schedule your appointment. Call (601) 650-0002 or request an appointment online.